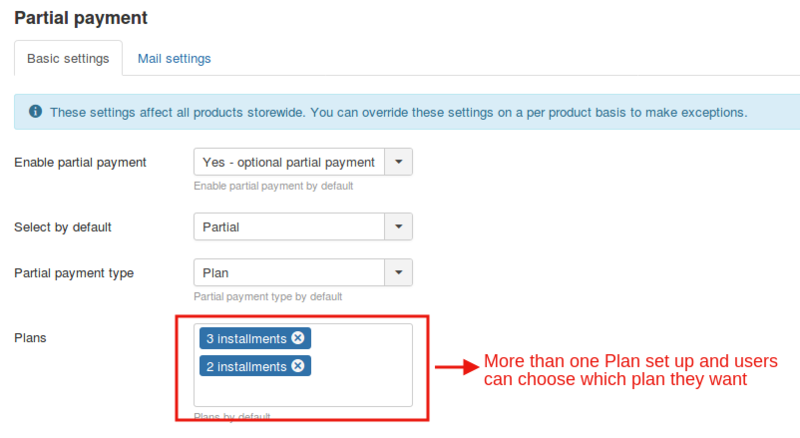 Perhaps, you might wish to collect the payment from the users based on plans,then you could choose this as the option in the partial payment type. 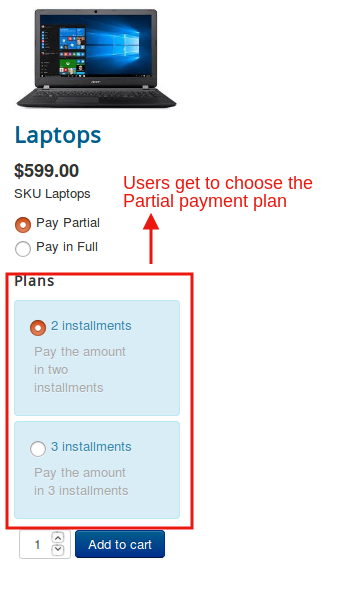 Then this is how the users will be provided payment options when a plan is chosen as the partial payment type. And there is an advantage too.You could add more than one plans using partial payments app and let the user choose on which plan he would like to pay. 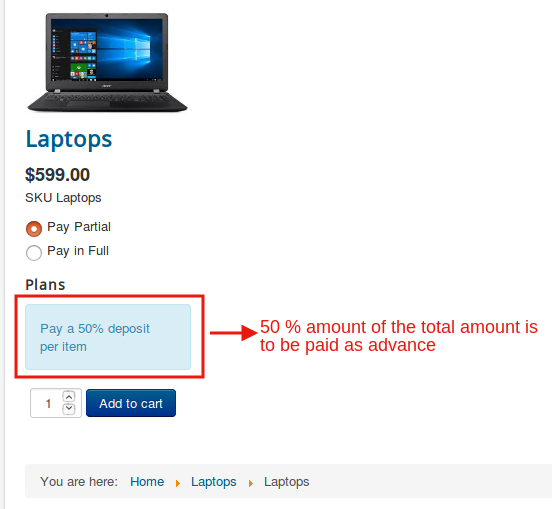 In short,if you want a more organised way of receiving deposits, then you could opt for this option. 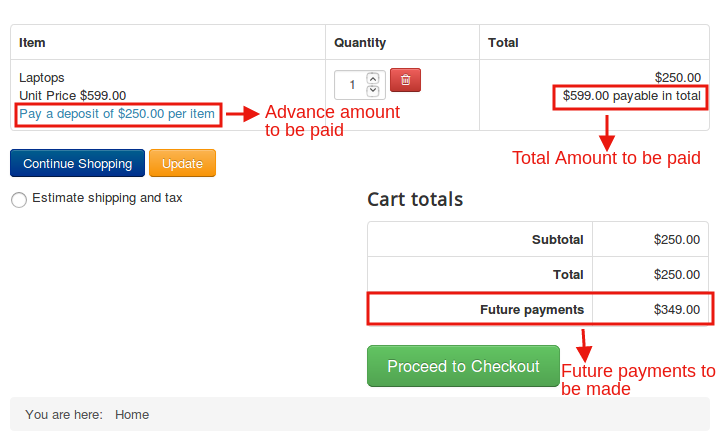 Sometimes,there might be situations where you would like to have a percentage of the total amount as the advance amount and the rest to be paid later. 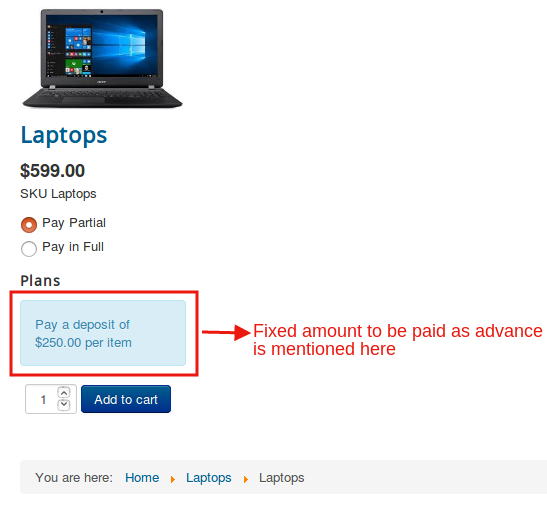 This being the case, the user would be paying 50% of the total amount as the initial payment and the rest later. 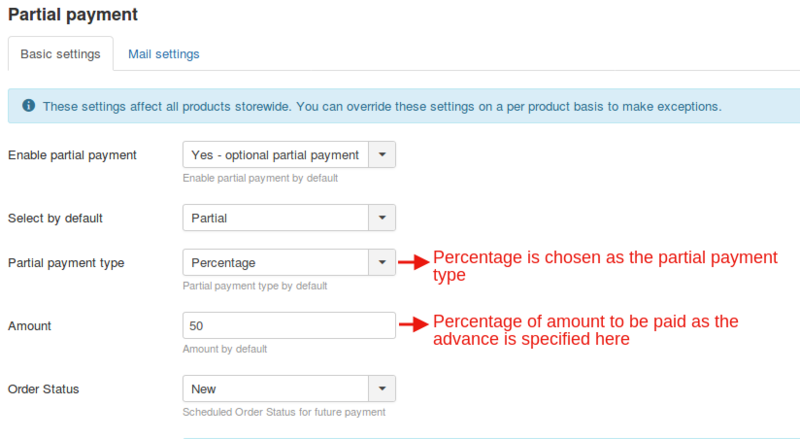 Here with this type of partial payment too, you have the liberty to specify the percentage of amount that the user has to pay. If you want to keep it as simple as that, you might select the fixed price option where the user will be charged a fixed amount as the initial deposit.